The hotel was extended in 2013 and now boasts 102 bedrooms and apartments, as well as a 240 seater event and conference room. The luxurious interior of the hotel includes the foyer which sits at the heart of the hotel. 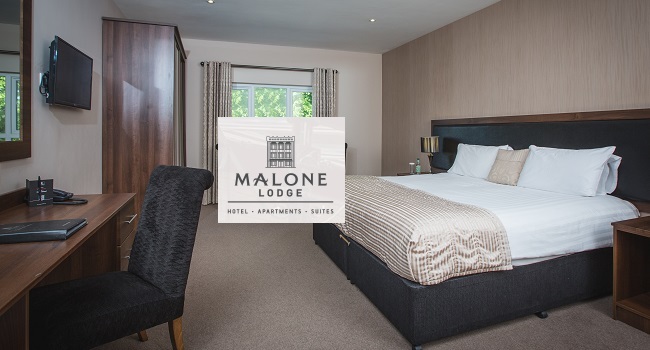 TheTaste are giving readers the chance to experience a luxury overnight stay for two people at Malone Lodge Hotel in Belfast with breakfast for only €99. This offer includes a free upgrade to an Executive Room and a glass of Prosecco for two.